Your appointment will be confirmed via email or phone. No Sunday appointments or on major holidays. and the East End of Long Island. chimney the attention that it needs! Q - Why use a certified CSIA company? A - The CSIA is the only nationally recognized certification organization and dealing with a company that carries their certification ensures that you will have a properly trained individual working on your system. The only way to become CSIA certified is to know the criteria and pass the exam. 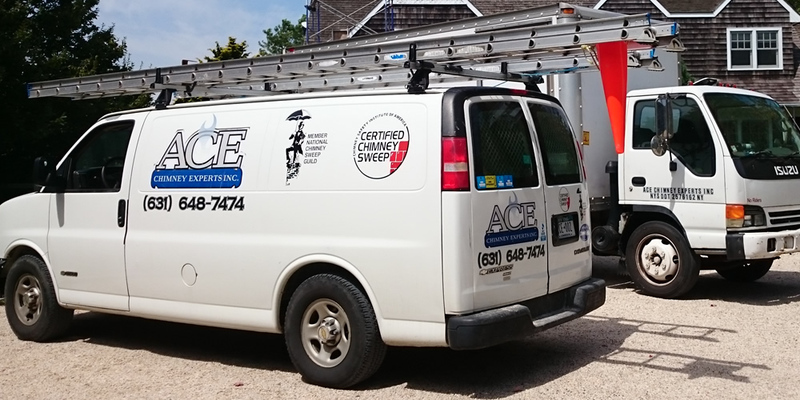 Ace Chimney Experts, Inc. is dedicated to providing you with the highest level of service attainable.  You can rest assured that all services that we provide, from basic chimney sweeps and inspections to difficult chimney lining installations are performed by qualified CSIA certified technicians. 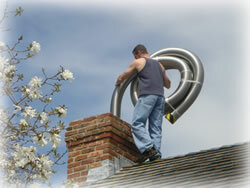 Ace Chimney Experts is a Full service chimney company. 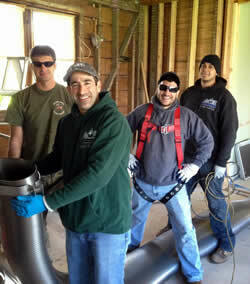 We can can help you with any chimney need. Our qualified staff is well trained and professional. Don't worry you can sleep easy with our courteous and professional service. These guys really know what they are doing. 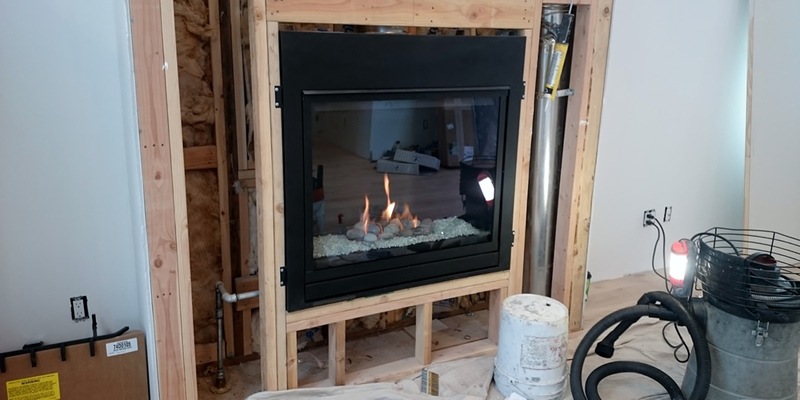 They diagnosed our chimney/fireplace problem correctly (others did not), and scheduled it as soon as they could after the weather allowed outdoor construction. They knocked down the existing chimney and fireplace and constructed a whole new one. They expected it to take a week and it took only one day longer. We thought there would be horrendous additional work because of the age of the house, but they found only a couple of things and fixed them within budget except for a few extra materials. They cleaned up every day (and kept the weather out), and left the place spotless at the end. When there were changes, they made sure to get approval. The results is handsome and solid, with a fine new hearth. All through the process, Linnea from the office was in touch with us and responded to our questions immediately (she works long hours). Pete was the manager on site, and all the guys seemed happy with their work. We'd use them again in a heartbeat, and highly recommend them: they are professionals. 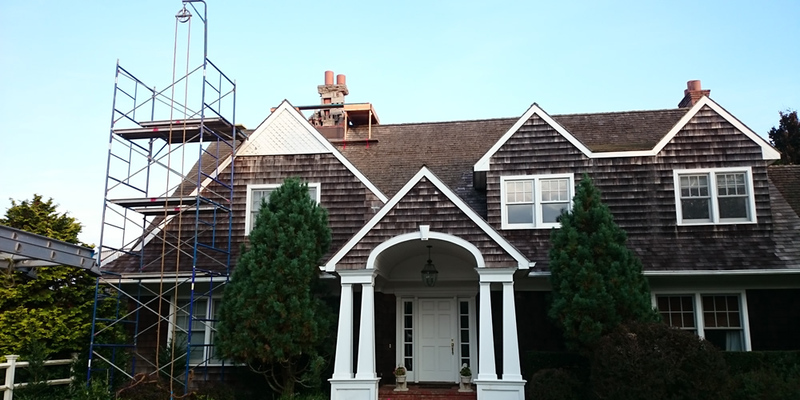 The work was done in Amagansett, NY.